We are seeking an English teacher from only the following countries: the UK, Australia, New Zealand, Canada or South Africa to join our growing team of professionals. 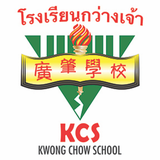 We're a small, exclusive school in the heart of Silom, near the BTS and bus routes. Applicants should possess degrees in English and ideally Secondary Education, and be prepared to work professionally and cooperatively with staff members from a variety of countries. An expert in teaching, the chosen candidate will encourage students and adhere to our standards of educational excellence and professional presentation. The ideal candidate will be professionally committed to both our students and the school. Please note that your initial email constitutes part of the recruitment process. Applicants from countries other than those mentioned will not be considered.